I never would have guessed this was first on their mind.. 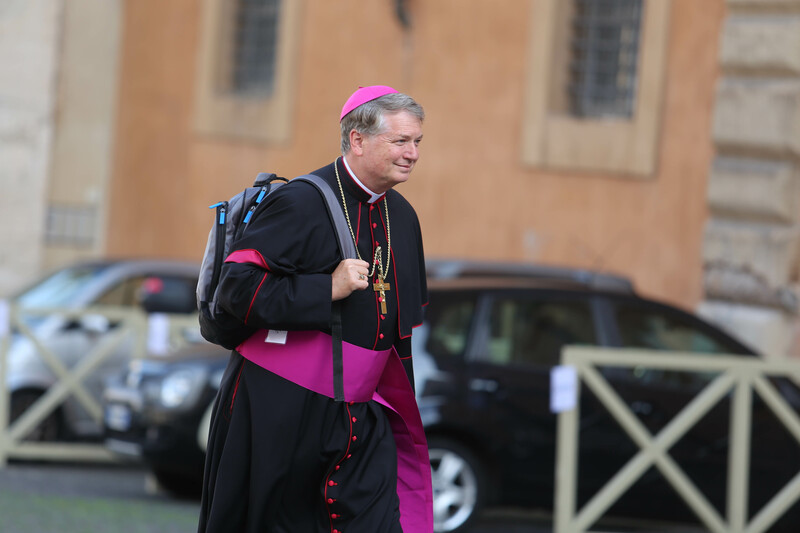 In an interview with Zenit in the Vatican today, Oct. 5, 2018, during the early days of the Synod of Bishops on Young People, the Faith and Vocational Discernment, Archbishop Anthony Colin Fisher of Sydney, said this as he reflected on the issues “to which he is giving a voice” for his country’s young people, and the main issue in particular. When asked about what matters most to his young flock, the Australian Archbishop, who had organized the 23rd World Youth Day in Sydney, expressed how they tried to uncover this. Social researchers, he said, brought that all together for the bishops objectively, and fed back to them what the young people were saying. They also are trying to understand, he said, not just their ethnic identity, but their sexual identity and spiritual identity. “These issues,” he noted, “of how I sort out who I am, and what matters to me, are very important to the young people in Australia. “These are big issues too,” he said, “but their questions are a bit more existential, in their mind, about deeper questions, about happiness and meaning, at the heart of their lives. “Whereas those from the little island countries are like: ‘What? Who has time to be depressed? We are just worried about how we are going to feed ourselves …whether their island could go under the water…’ So, he observed, it is very different country to country. When asking if the abuses were among those main concerns as well, the Archbishop observed they were not, certainly not to the same degree. Yesterday, Archbishop Fisher, during his intervention at the Synod, apologized for the failures of the Church. Today, he said, he believes this asking pardon, for this shame, is needed. Here is a link where our readers can read his intervention from yesterday: Intervention of Archbishop Fisher.